Recent survey data from National Association of Home Builders (NAHB) shows a major skilled trades and sales labor shortage in the industry is cause for headaches and heartburn for builders, subs, remodelers, and specialty trade contractors across the nation. In the same survey, 36 percent of builders admitted projects have become unprofitable, while 18 percent said the shortage of labor has forced them to turn down projects or slow the rate of incoming work. So how do construction pros overcome the effects of the labor shortage? 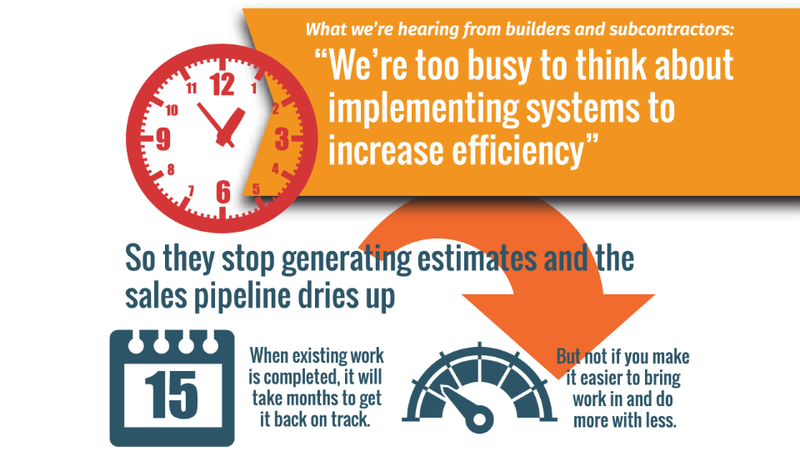 Builders and contractors must do more with the resources and staff already in their arsenal. The best way to to do more with less as a contractor or builder and increase your company’s efficiency is to streamline your sales process. When you’re short on manpower, there’s just no time for all that. 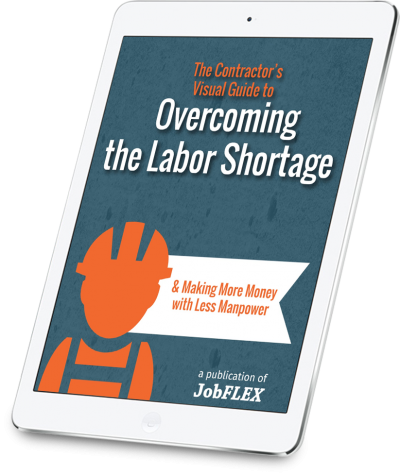 Fill out the form below to download The Contractor’s Visual Guide to Overcoming the Labor Shortage and learn how JobFLEX helps contractors make more money with less manpower.